Ever thought about what’s going on inside their heads? 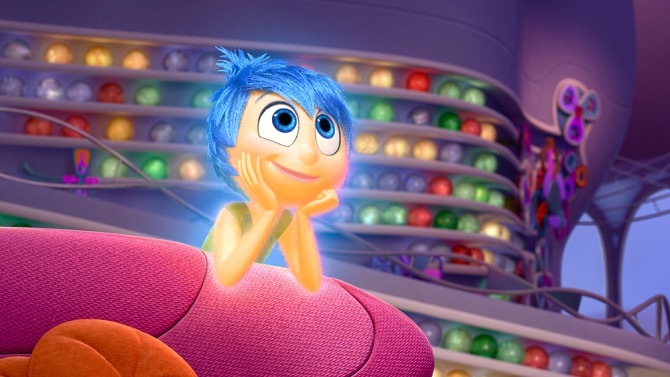 Well, Disney Pixar’s new film, Inside Out has the answer. I first heard of Inside Out through my family and friends – I had doubts about the film, as I heard it’s too emotional or it had a complicated storyline, but they all told me to go and see it. So, I did; I went with my parents and one of my nephews (as a birthday treat). And I loved it; I certainly was not expecting a lot of pure and excellence, which captivated my attention. So what’s the story? Riley, an eleven year old moves to San Francisco from Minnesota, with her family. While she is trying to adjust her new life, inside Riley’s mind, there are five manifestations of Riley’s emotions—Joy, Sadness, Disgust, Fear and Anger. All seems to be well until Sadness touches Riley’s core memory. Then, Sadness and Joy are in the ride of their lives when they end up in the labyrinthine storage area (full of Riley’s long-term memories) and take a journey to Headquarters, while Disgust, Anger and Fear are left in charge. Without Sadness, Joy or the core memories, Riley slowly becomes homesick and falls into a deep depression, turning back on everything she loves – including her own family. The story line is a first class standard and really easy to follow. During the film, I noticed to pick up two different levels of morals to both children and adults. For children, all they see is Riley and her emotions. For adults, however, I discovered that the team on a Inside Out were pointing out all the emotions we have – relating to Riley and those around her. I also love the relationship between Joy and Sadness; in the film, Sadness wants to be part of the team but Joy (being selfish, without realising it) takes over, since she’s team leader. Later on, Joy has to realise that without Sadness, Anger, Fear and Disgust, she can’t make a team co-operate with one another. It was wonderfully done and it shows how much mistakes we learn as we’re growing up or as adults. The cast were excellent. I loved Amy Poehler’s voice as Joy (she also wrote additional dialogue for the film), Phyllis Smith’s voice as Sadness and Kaitlyn Dias’ voice as Riley. Although I don’t make notes on child actors in my reviews but Kaitlyn’s voice made a real connection with me; she has really huge talent and will go really far in life. Pixar made really good choices for the voices and they brought the story to life, which made the plot stronger. Joy – who wouldn’t have made it far, for not it had been the voice of Amy Poehler. But the nomination for my favourite part of the film goes to the Animation. I noticed that there were a lot of vibrant colours and excitable settings (inside Riley’s mind). According to Wikipedia, the art design is “intended to reflect 1950s Broadway musicals”. Also, the team focused on glowing, “effervescent qualitys”to the emotions (particularly Joy). But, this nearly scrapped because which was difficult to animate and it would of affected the budget of the film. However, John Lasseter suggested for them to be applied for all five emotions. Personally, I thought adding these affects were wonderful. It is something very original, appealing and creative. So, a round of applause for a top mark job – and nominate the team for an Oscar already! We planned to go there for a while as I have family living there; we met up most for most of the week, while my parents and I where down. They took us to many places and on one day my eldest cousin, my Mother and I spent time together, as did my uncle, who spent time with my parents and myself. It was nice to see them, as we missed their company. They haven’t moved there very long (been there since the New Year), but they know the area very well – they suggested the best places to go and what’s on around the county. It was very kind of them; we would have been lost without their help. Anyway, let’s skip forward to the review, shall we? Here’s what happened during our week and what I thought of all. Day One – Visited Bridport Town Centre, where we went shopping, and stopped for tea and cake at The Green Yard Café. Then, went to visit the town of Thorncombe before stopping for a late lunch at Lucy’s Farm House & Tea Room. Busy morning, followed by a tasteful afternoon was just the ticket for us. We had a lovely look around in the town centre, alongside with a refreshable cup of Latte, and slices of a variety of cakes including biscotti and apple cake. Thorncombe was small and not really interesting. Apart from the churches and really, really narrow lanes. Lucy’s, however, took the biscuit of our first day. The food was incredible – I loved the omelette and my father adored his cream and jam scones. The service was very good too; the owners were very friendly, while the garden was peaceful, relaxing and creative. It had lots of fairy doors and fake animals – warning if you’ve got dogs, the animals will confuse them. 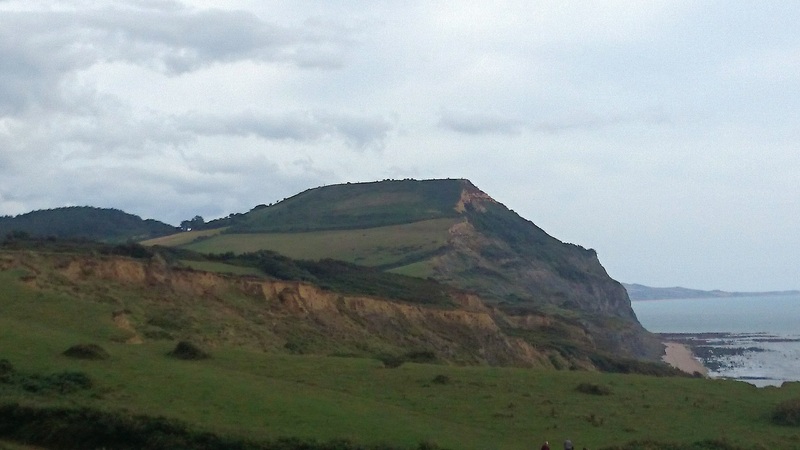 Day Two – Went for a picnic, and walked around Golden Cap and Stonebarrow Hill. What’s a way to spend a beautiful day by spending quality time with your family. From Stonebarrow Hill, the views of the sea were spectacular and breathtaking (especially when the sun was out). When we went on the walk around the Hill, and Golden Cap, I noticed that there were a lot of steep steps and hills. 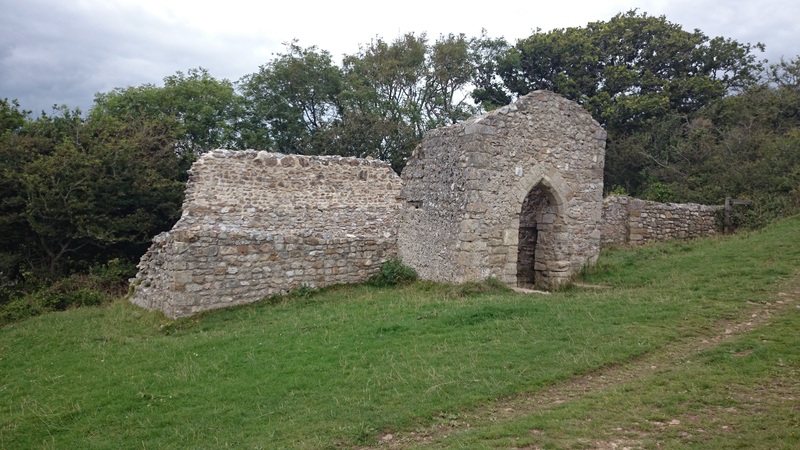 But in between there is farmland, landscapes and St Gabriel’s Chapel, a small, romantic, thirteenth century ruin, which is now a place of worship. My uncle, auntie, cousin, parents and I have enjoyed our afternoon, from the picnic to the walk – it was a wonderful experience. I recommend the Hill and Cap, as a wonderful day out. Also, I suggest to bring a picnic but near the car park, as it would be easier than carrying heavy bags and walking around the steep cliffs. (From above) A pointy view of Stonebarrow Hill and St Gabriel’s Chapel. Day Three – Spent an entire afternoon, walking along Cogden and Hive Beaches. This was followed by a light lunch, drinks and ice cream at the Hive Beach cafe. This was a fairly mixed day, as I had a peaceful day, with just my parents. The Cogden and Hive beaches were spectacular and breathtaking. We were captivated by the beauty of the coast when we saw the view from the cliffs in the middle of our walk. However, I was very disappointed in the cafe; there was very little choice of food – since most of the food there contains gluten and dairy, which I’m allergic too. It’s also bad if you are vegetarian, and allergic to fish, pastry, dairy or gluten. It was very expensive; most of the food costs around £20 maximum and we had to wait a very long time for our food (which was around thirty to forty-five minutes). So if you are not a fan of fish, pastry, gluten, or dairy, I wouldn’t recommend the cafe, unless if you are keen on the drinks and ice cream. Day Four – This was the day, where I spent time with my cousin and Mother. We travelled to Poole, where we stopped for a short visit to the Poole Pottery. 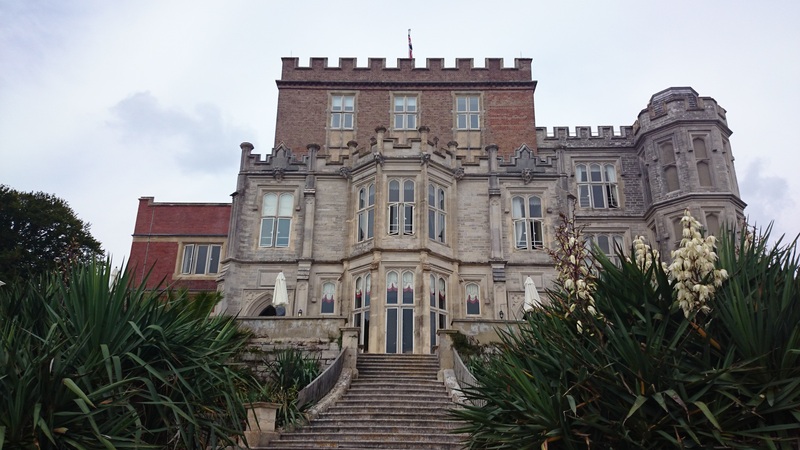 Then, we travelled on board the Castello before spending time on Brownsea Island. There, we walked around, ending the day with a spot of Afternoon Tea. A favourite place for my cousin, it’s easy to see why Brownsea was a masterpiece. After driving from Bridport, the three of us made a stop in the town centre (opposite the query); there, we had the chance to see the wonders of the local pottery shop. inside, there were items on sale from vases to lamp stands; a section where children can paint their own pottery items and a demonstration room where visitors can see pottery, coming to life by a variety of professionals – from clay to the final preparation. It was amazing experience and so wonderful to see how pottery is made before our very eyes. It was an excellent start to our day. After our journey on the Castello, to Brownsea. Once we arrived, my cousin, Mother and I helped ourselves to some tea in the house, before eating packed lunch by the sea. It satisfied us enough, but what came next was astounding. What took us two hours to walk around the island, brought breathtaking and emotionally overwhelming. They included seeing seven wild red squirrels, peacocks, and their chicks and the site where the Scout and Guide movements began. 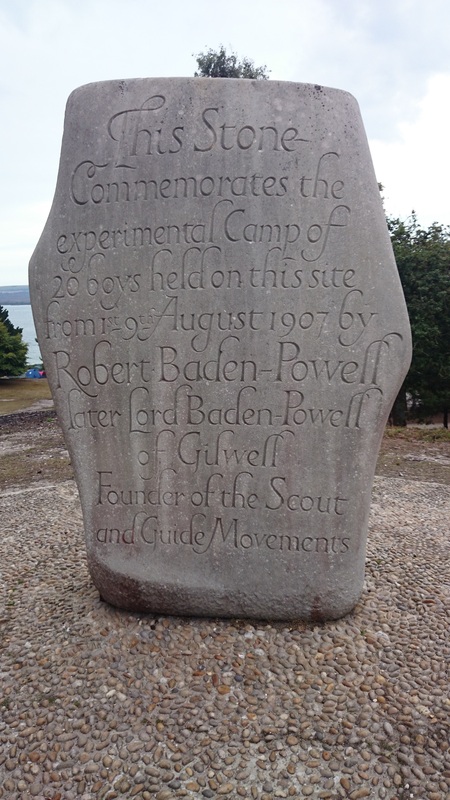 This was an exciting and emotional experience for me, as I grew up being a Girl Guide; seeing the stone commemorating Lord Robert Baden-Powell’s Scout group and seeing how it all began was really, really amazing – this is like the holy grail of the Guides and Scouts Association. I shall never forget seeing this special place. Our afternoon tea was fantastic – there were a variety of cakes and teas – they even have a wide selection of gluten and dairy free cakes! I had three helpings of dairy-free Rocky roads, and gluten-free, and dairy-free ginger and raisin cake. Normally, I don’t eat aloof cakes but they were so beautifully prepared that I had more than I should have. Overall, I would recommend Poole Pottery and Brownsea. Especially Brownsea! You can even stay in the castle on the island, as it is a hotel. If you get the chance, I recommend spending a night there. It’ll be worth it. (From above) Brownsea Castle, Brownsea Castle, and Seaside and the commemoration stone. Day Five – Spent a couple of hours with my Mother around Bridport town centre, where it was market day. We’d done some shopping, followed by a tea and cake stop back at The Green Yard. There wasn’t much to do, since we had rain all day long. However, we did come across new shops and bakeries, including Bella’s and Leakers. I recommend these two bakers, as they prove a wonderful selection of gluten-free bread, pastries and cakes. I was really impressed by their offers and I was tempted to buy one; I didn’t in the end but I certainly will next time. Highly recommend them if you are looking at a little snack or something extra to add if you are planning a picnic. Your taste-buds will be tickling in no time. 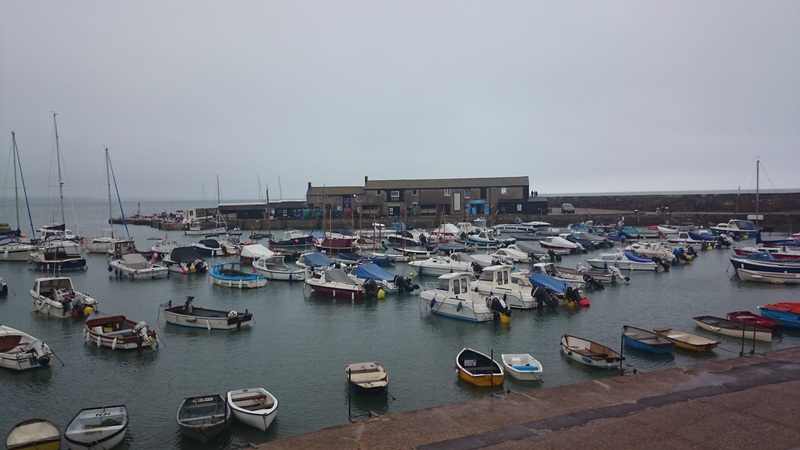 Day Six – My parents and I started our day, walking on Lyme Regis beach and around town centre. While there, we had lunch at the “Penny Black Cafe” (sometimes called “Penny Black Courtyard & Tea Room Gardens”) and finished the morning in the Langmoor and Lister Gardens. We continued our day back at Bridport, where we met up with my uncle, and returned to “The Green Yard” for another round of tea and cake. After saying our goodbyes, my parents and I went to West Bay. We walked along the East Beach, before buying a Fish N’ Chip supper at the “Ships Galley Fish N’ Chips” stand and taking it back to our holiday cottage. Despite another day of rough, wet and wild weather, we didn’t let the rain spoil our last, full day in the South Coast. There was plenty to do on the two beaches. On Lyme Regis, there were amazing views of the crashing into the Quay (where “The French Lieutenant” was filmed). 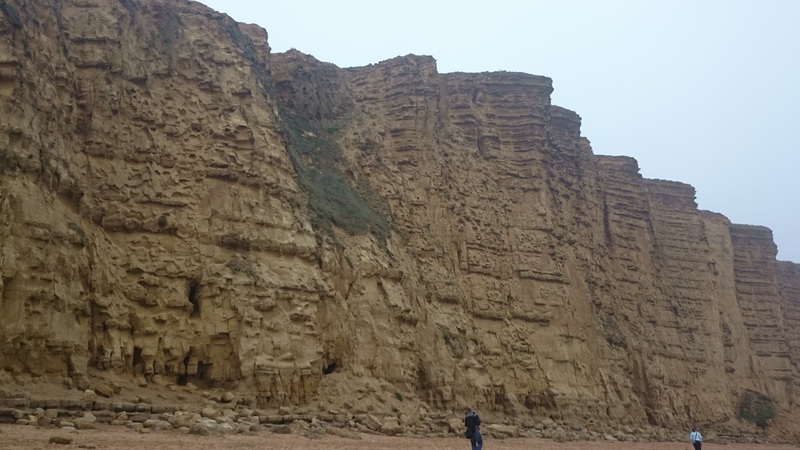 The same event happened at West Bay too, expect the water landed against the sand; the waves were bigger than at Lyme Regis, and the biggest ones went up to the height of a human stomach! It was amazing. As for the restaurants, they’ve done it again. My parents and I enjoyed our lunch at “Penny Black”; the food was freshly prepared and the staff were extremely pleasant. I could sense that there was a wonderful community vibe inside, especially when the staff greeted a couple who were regular costumers. When we enquirer about my diet, they offered me gluten-free bread to go with my meal and they kindly gave me strawberries with my soya cappuccino, in replacement of a biscuit. And for any cappuccino fans, I recommend trying it as the strawberries bring the flavour to the drink. For “The Ship’s Galley”, we bought our Fish, and Chips and we were pleased with our meal. Also like “Penny Black”, the staff were friendly and kind about my dietary requirements. Not only did they provide me chips, cooked with gluten-free oil, but they offered me gluten, and wheat-free vinegar and poached cod (without the batter). It was delicious and it was one of the best Fish and Chip meals I’ve ever had. Also while we were on the subject of restaurants I would like to mention “The Good Food Cafe” in Lyme Regis and “The Box Office Cafe”, (which is just inside “The Lyric Theatre”) in Bridport. Like “Bella’s” and “Leakers” bakeries, I didn’t order food from them but they provide an excellent selection of gluten-free food. If you get a chance to stop at “The Box Office Cafe”, you might be lucky and have the opportunity to see the “The Lyric Theatre” itself. However, try to make it early as the cafe may close early and/or rehearsals may be taking place in the theatre. That’s what happened to us before we decided to return to “The Green Yard”. However the next time we come back to Bridport, we will see the theatre and stay at “The Box Office Cafe”. (From above) Lyme Regis Quay, Views of Lyme Regis Beach from the Gardens and cliffs on West Bay’s East Beach. And where did we stay during our holiday? A holiday rental cottage – Buzzards Swoop; this is part of a holiday company called ‘Binghams Farm Barns’, located in Bridport. Our first impressions of Buzzards weren’t fantastic. The cottage (I believe) had been redone. However, it appeared to us that Buzzards wasn’t finished; these include a missing door nob in the upstairs bathroom and cracked wall. As the week went by, we started to have some fondness of the house, but it wasn’t enough for me. I felt let down, especially with the unfinished treatments. I felt Buzzard’s was being really neglected and it wasn’t fair. It’s not the best place I’ve stayed in but I was amazed by the countryside around the house. There was a lot of land; just the prefect place if you are a fan of walking. Overall, my parents and I have enjoyed our stay in the South Coast. It has been a wonderful experience and we are sad to leave. But as we do, we leave behind the memories of our week’s stay and the wonders we’ve experienced and enjoyed. I’m delighted to share them with you in the hope that one day, you will share and have many experiences when you visit the South West Coast of England. If you ever visit the South West, I recommend going to Bridport on Wednesdays and Saturdays when its Market day. It may be busy but there’s plenty to see if you are a fan of markets. If you want to adventure through the countryside, I suggest that you should try Golden Cap, Stonebarrow Hill and the cliffs on West Bay’s East Beach. However should you do, I advise you to bring suitable footwear, take care and do not go near the edges of the cliffs, as they are a health and safety hazard. 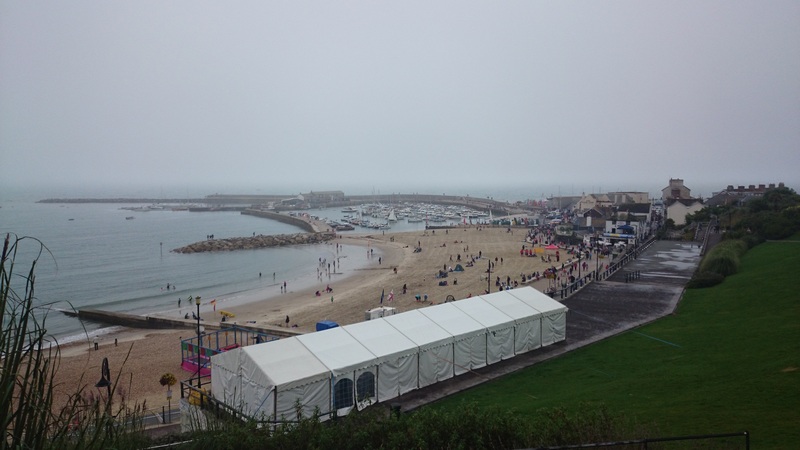 If you are looking for some seaside fun, then Lyme Regis and East beaches are the ones for you. Once you arrive there, I can guarantee that you’ll be transfixed by their natural beauties. But remember, be careful; check the tides and never walk under or shelter under cliffs, as they can cause a great risk of death or serious injury. 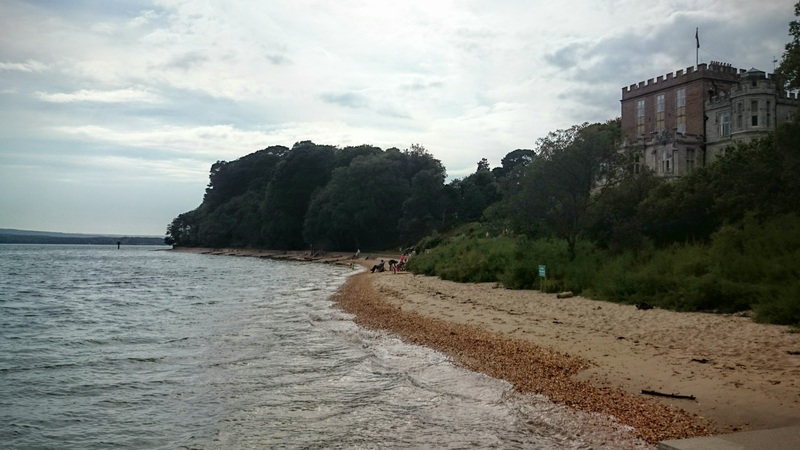 If you are a big history fan like me, don’t forget to visit at Brownsea where it’ll await for your attendance. However if you work in John Lewis or work with their company partners like Waitrose, you may be lucky in a chance for spending the night inside the castle and to book a place on the Castello. If you want any refreshments, whether its a spot of tea, and scones with cream or a light luncheon, I would highly recommend Lucy’s, The Green Yard, Penny Black, The Box Office Cafe, Bella’s and The Ship’s Galley. They are amazing, very friendly and most of them allow dogs in the restaurants. What more can you possibly want? Welcome to Monday Travel Songs. In this instalment, I’ll be posting every Monday (or after – I’m not usually brilliant at following my schedules) and share geographic songs from all over the world. This is my first post, so I’ll be starting off my musical journey up north – from Edinburgh to the Highlands. The great love in your life. Of the days that were. Smaointe is about Maragallen Beach, where a disaster occurred during a service day; a giant wave came in, destroying the small church and its graveyard. All inside were perished. In the same graveyard, Enya’s grandparents are buried. This song explains Enya’s childhood memories of the beach, her thoughts of grandparents and her reponse to her reflections. Why Did I Choose This Song? Scotland is a part of me, as my father and generations of his family lived all over the country (dating from as early as the 18th century). This, beautiful, moving song is a crowning jewel as it dedicates the loss and love of family, in spirit and memory. It reminds us how strong we are with our emotions, but how weak we’re feeling when the ones who we are closet to are no longer with us. Good evening, hope your Valentine’s Day was a blast. 🙂 This is a short poem I wrote for my parents, in their cards (I made specially; most of it is writing but words are powerful than actions, so they say). This is my dedication to them, giving thanks for bringing me up into the person I am today. Because I love you; it’s true. Because there are no other parents like you. And embark on many adventures. As a volunteer, for a year. And how to spread happiness for others. And to make a difference.